Hanoi (VNA) – The Vietnam National Administration of Tourism has asked international tour operators in the country to follow the developments of a severe earthquake that recently hit China’s Sichuan province and adjust their schedules to ensure safety for tourists. Travel agents taking Vietnamese tourists to destinations near the quake-stricken areas area were asked to keep abreast of developments constantly. In case of incidents, they must inform Chinese and Vietnamese authorities for support. 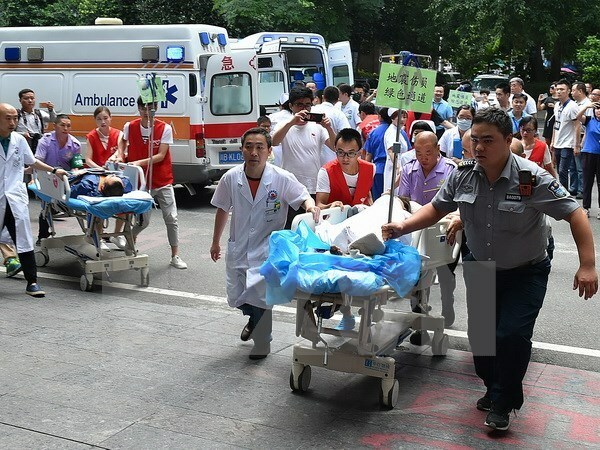 China National Radio reported that as of 3pm (local time) August 9, the 7.0-magnitude earthquake in Jiuzhaigou county of Ngawa prefecture, the southwestern province of Sichuan that struck the previous day had killed 19 people and injured 217 others.